We spent a 4 day weekend at the beach as we were wrapping up summer. We rented this nice beach house in San Luis Pass. One of the things we loved about it was the deck, which overlooked the Gulf. When we weren't at the beach having fun, we'd just sit out in the recliners, swings and hammock. My daughters had the most fun in this swing made from super soft rope. You kind of had to crawl into it to get settled and it was a lot of fun. I snapped these photos of my oldest enjoying the swing. 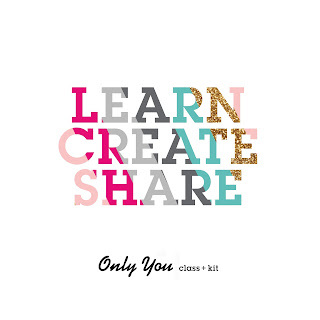 Creative How-to: I started with this week's sketch from Creative Scrappers. I added a 4-5inch-ish strip of pattern paper to the layout, leaving the strip at the bottom of the paper intact (that's the days of the week strip you see). Cut strips from the Running Errands paper and layer them over each other. Grab your mask - I used a Studio Calico small chevron mask - and add paint over the sections you want to show through. I wanted this to look blotchy so I applied paint liberally. Remove the mask and apply paint to other sections of the layout. Once the paint dried, I added a couple of rows of stitched chevrons, mostly over the blotchy painted areas to add definition. Add the title - I outlined the word "today" because I felt like it was getting lost and wanted it to pop just a bit more off the page. Add photos and embellishments. I wanted to put the journaling card behind the top photo so I made sure to not adhere the photo down where I wanted to insert he card. I cut a few strips of the paper again and tore them to make them look like washi tape. I stamped over the faux washi and also over the die cut flower. 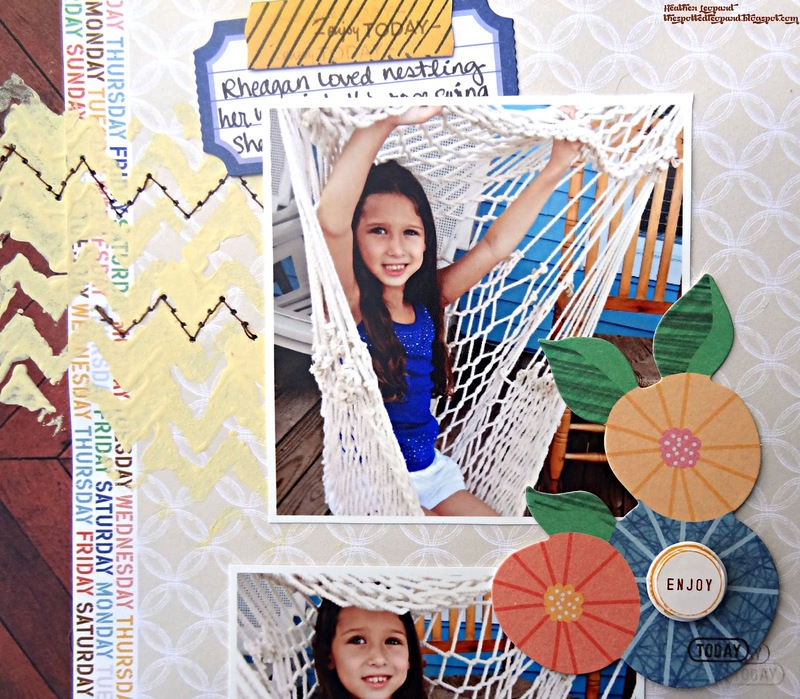 Journaling reads: Rheagan loved nestling her way into this rope swing. She would swing and spin in it on the deck of the beach house. That is, when she wasn't relaxing in the hammock with a book or our iPads. Make sure to stop by the Creative Scrappers blog to see what the other designers did with this sketch. While you're there, check out the call for the new DT. This is such a great team to be a part of. This is fabulous Heather! The paint adds some nice texture!! Gorgeous Heather! 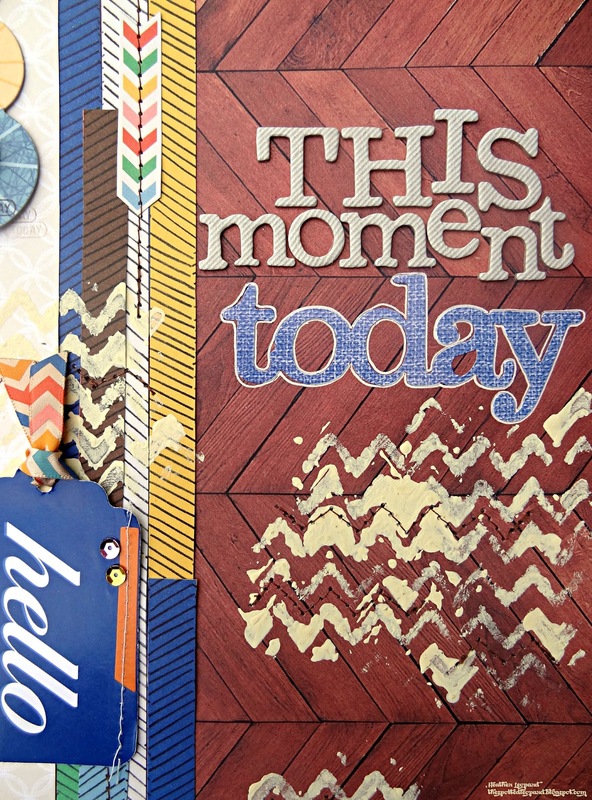 I loveeeeee the photos, the wood grain background and loving the chevron masking!!!! Love the page ... so beautiful! I loved this background, it seems like real wood! Oooooh I LOVE this layout! I love the stamping and stitching. Perfection! 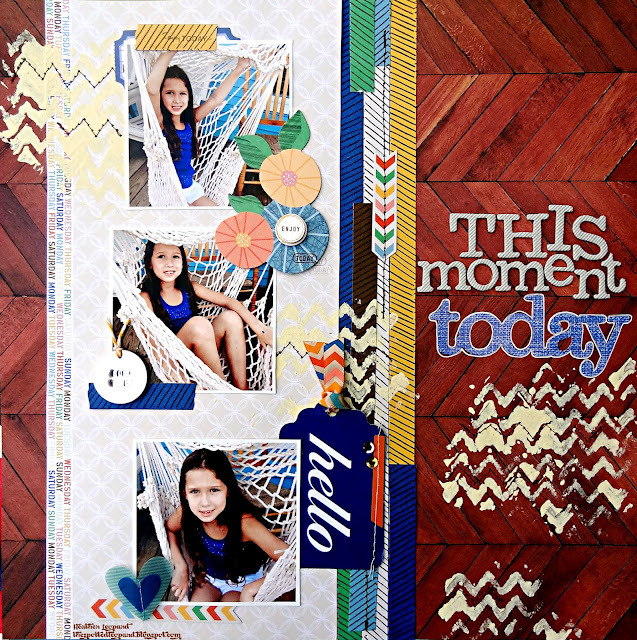 I love the color choice of this layout Heather! And that swing thing looks AWESOME! Awesome! Love these Coles. And that stamping and stitching...love! This layout has so much fun buts and pieces...love the paint zig/zag layer, washi tape, die cuts, just so much fun.